Don't have a LOGIN? Ask for one when submitting your ticket! Dynamic Closets - Technology in your wardrobe! As the global leader in uniform and garment management, Metalprogetti is bringing the future into today's society. 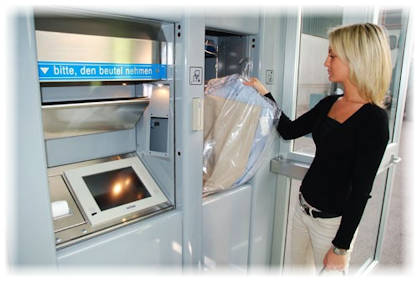 We proudly display our 24-hour distribution systems in hospitals, hotels, and drycleaners around the world. The efficiency of our fully automated order assemblies, baggers, sorters, and other self-aware machines are enjoyed by the masses - owners, employees, and awestruck patrons. Backed by state-of-the-art Italian engineering and impeccable craftsmanship, we embrace your interest.